I know it’s because I’m a new mom, but I’ve been thinking more and more about my own health ever since Van’s birth. It’s not that I thought I was invincible beforehand, but having the amazing responsibility of having a child really puts your own life and mortality in perspective. Obviously, so much of that is out of my hands, but I am focused on what I do have control over: diet and lifestyle to prevent chronic disease and exercise to maintain quality of life. Therefore, I’ve been digging into the research on longevity and wow, it’s pretty fascinating. Of course, so many characteristics play into a person’s life expectancy but diet seems to play a larger role than others when it comes to increased longevity and decreased disability. I’m a big fan of assessing the “Blue Zones”, areas of the world where longevity is the norm. People may get lucky in living to 100, but populations do not. Therefore, looking at common characteristics of these blue zones allows us to unlock key habit choices that make living to 100 a possibility. It’s like a reverse hack—identify the groups of people who can do this, then study everything about them. What is different there compared to our life here? Let’s start with the diet. In all five Blue Zones, most of the diet is made up of pulses, greens, grains and nuts. Makes sense, right? It’s one of the reasons I’m so into a mostly plant-based diet- not only does this way of eating make me feel my best, it’s also in line with my ethics and has the benefit of decreasing chronic disease risk and mortality. It’s like a diet jackpot. 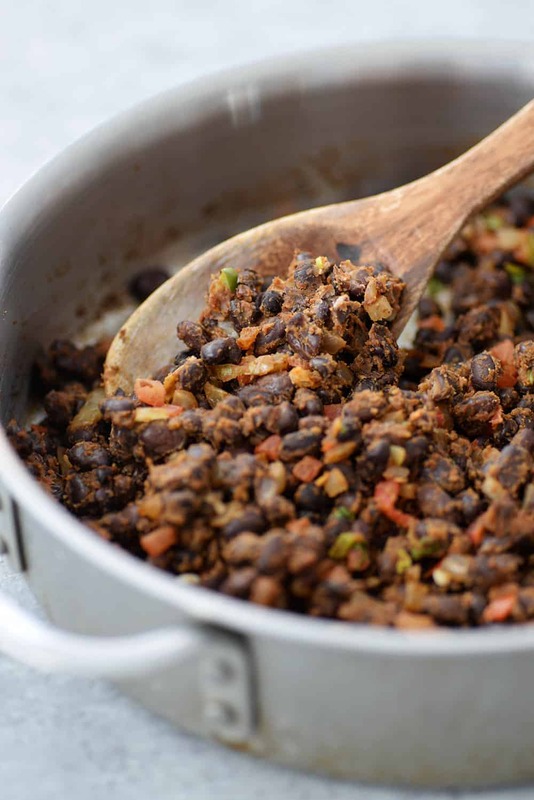 Many of the longest-living populations in the world are lovers of pulses, the umbrella term for dried peas, beans and lentils. Blue Zones researchers found that legumes were the most important dietary predictor of survival among the elderly, regardless of their ethnicity. For every 20-gram increase in daily pulses intake, they found a 7 to 8% reduction in mortality hazard ratio. It’s hard to find a more perfect food than beans. They are an excellent source of protein, vitamins, minerals, and complex carbohydrates. They’re also very low in fat, almost sodium-free and extremely inexpensive, especially compared to fresh meat. A single cup of beans contains roughly 16 grams of fiber, which increases satiety and helps to lower cholesterol levels. One more tidbit, swapping out meat for plant-protein is associated with a lower risk of death from all causes. A recent observational study published in JAMA Internal Medicine showed a 34 percent drop in mortality rate when participants swapped out processed red meat for plant protein, and a 19 percent decrease when they replaced eggs. 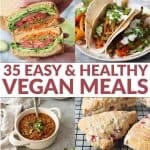 Friends, I’m not saying that you need to become full on vegetarian or vegan to see the benefits, but I do there there is enough evidence to support replacement a few animal-based meals a week with beans. I was on Fox2 News a few weeks ago sharing this exact same message. The idea that adding in more beans helps to lower risk of some cancers and exactly what to do with those beans. That tends to be the biggest complaint I hear from clients- besides baked beans, soup or chili, they aren’t quite sure how to eat them. 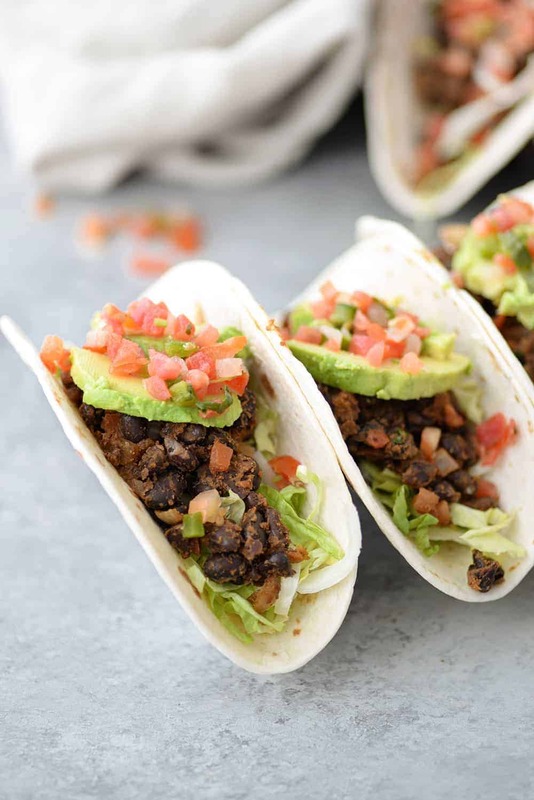 Well, these 10-minute black bean tacos are my go-to weeknight dinner. They couldn’t be simpler. Open a can of beans, add to some sautéed onion and season with chili powder and cumin. Mash just a few for added texture, then pile into a tortilla (or shredded lettuce) and top with your favorite toppings. 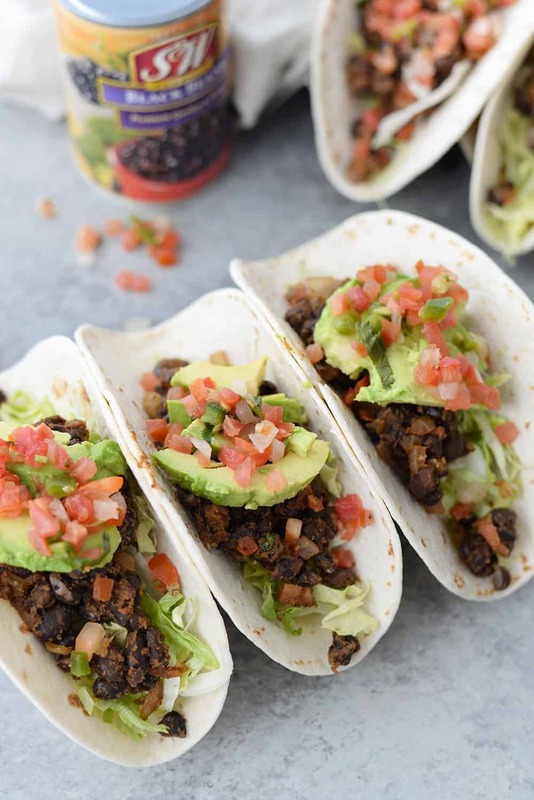 If you are looking for more ways to add beans into your diet, try these. 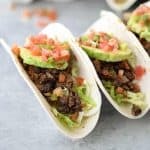 10 Minute Black Bean Tacos! Want a quick weeknight meal!? 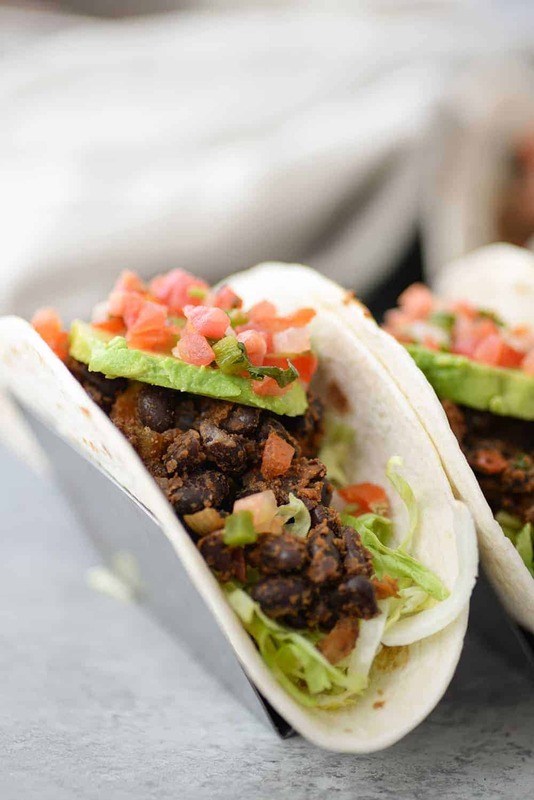 Try these vegan black bean tacos. 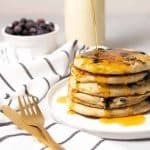 Super healthy and delicious. Heat the oil in a large skillet over medium-high heat. Add the onion and cook, stirring occasionally, until just softened, about 2 minutes. Stir in the chili powder, cumin, and 1/4 teaspoon salt. Add the beans.